The fourteenth episode (S03E14) of The Big Bang Theory has some very interesting product placement, although it’s very unlikely that they were paid for. All of these were spoken placements and occurred in bizarre contexts. But that was expected, of course. Later in the cafeteria Leonard and Howard are planning their night out. P. F. Chang’s China Bistro is an American restaurant that serves American Chinese cuisine and according to Wikipedia it’s also frequently referenced in the animated sitcom South Park. BTW, the Genius Bar is a tech support station located inside every Apple Retail Store, the purpose of which is to offer help and support for Apple products. Those examples are not REAL product placement because they’re really mocking the brands, but nevertheless the presence of the brands in the script shows that these are in fact powerful brands. The screenwriters have used them in a funny and non-harmful context and that’s still better than no use at all. Otherwise they could choose imaginary or no-name brands, but with lesser effect and quieter laughter. When those situations occur brand managers can’t do much about it. Those placements generally happen without their knowing. But it sure helps if they have a sense of humor. What do you think about mocking the brands in movies or TV shows. Can it be harmful or can it help build brand equity. To quote Brendan Behan, “There is no such thing as bad publicity except your own obituary.” It’s also an idea embraced by Larry Flynt of Hustler fame and the concept would seem to hold here as well. Despite the sometimes mocking tone of Sheldon, it wouldn’t hurt a brand much if at all–only reinforce what are already, as you say, strong brands. For that matter, it may help that Sheldon is often the person doing the belittling. He’s a popular yet finicky super genius who does not relate well to others. Some might even perceive his negativity as a validation of their brand selection, as opposed to the opposite–chuckles aside or not. Thanks for a very interesting comment. I agree with you. In my opinion he can’t hurt the brand, especially not in the case of Apple. Sheldon is a special character – over the top serious and uptight. He also has very particular views on all things around him. And as such he’s a special opinion maker. I found your last sentence very intriguing. I’ll try to find some more examples of “negative” product placement in the Big Bang Theory and include them in future posts. Look forward to your future analysis of brands on the show! If you’re on Twitter, give a shout about it to us (we’re SheldonFanBlog over there). Would make it easier for us to keep up and we could pass it along to others who might be interested, too. because Sheldon mocked Apple geniuses, it doesnt hurt their credibility at all. if say, Penny did, then maybe. Sheldon is the guy who literally was insulted that his sister thought he was a rocket scientist, saying something along the lines of only idiots become rocket scientists. 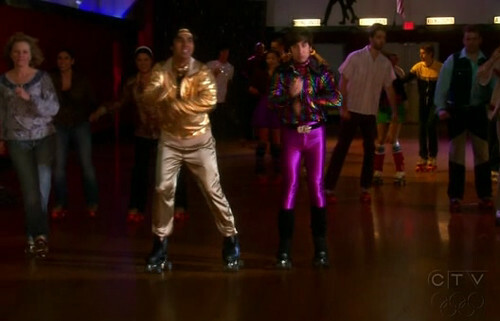 i was actually looking for a pic of howard and raj at the skating rink for my own blog, and landed at your website. this is a very interesting post..!! in the big bang they do mock a lot of brands… but i never really thought about that!